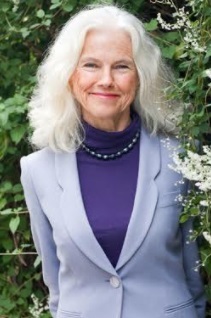 Sheila Kohler is the author of ten novels, three volumes of short fiction, a memoir, and many essays. Her most recent novel is “Dreaming for Freud,” (Penguin) based on the Dora case. Her memoir “Once we were sisters” came out with Penguin in 2017. She has won numerous prizes including the O.Henry twice and been included in Best American Short Stories twice. Her work has been published in eighteen countries. She has taught at Columbia, Sarah Lawrence, Bennington and now teaches at Princeton. 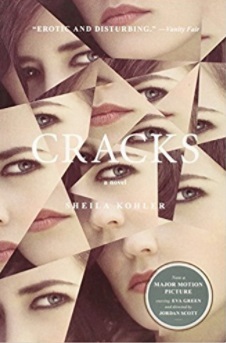 Her novel, “Cracks” was made into a film with directors Jordan and Ridley Scott with Eva Green playing Miss G. You can find her blog at Psychology Today under Dreaming for Freud. What a hard question to answer. I do think that I am a good story teller. I was always the one who was telling stories in the dark in the dormitory at boarding school when I was a girl, though occasionally I would realize I was still telling the story and everyone was asleep! I told my children stories when they were little particularly because my middle daughter was born deaf and I knew exactly the words she could understand. I think this probably comes from hearing stories as a little girl. My mother and her two sisters were great gossips and I was fascinated. I remember saying to them when I had to go to the bathroom, "Don't go on talking until I come back." Perhaps I am also a good listener as I am interested, in the lives of others, concerned for them and always curious as to how and why someone is the way he/ or she is. I think it has definitely been the help from the people around me from my mother who was a loving woman who enabled me to have confidence and hope in my ability, to friends who have helped me through periods of depression, to my present husband who has encouraged my work, indeed all my endeavors, with so much love and endless care. I would like to be able to contribute to society in some meaningful way. Of course, as a writer I wish to reach people, to share my work with others, to enable readers to both escape in my work and also to find themselves. It is also important to me to be independent and to make a living with my work. I hope, too, in the classroom to help the students I teach to enjoy literature so that they too may have the great satisfaction books have brought me. I try also to make them understand how important it is to reach out to others and help them. For many years I struggled to teach my deaf daughter to speak and that was perhaps what I wanted most in the world, but now she is grown and independent and a wonderful person, the best listener I know, married with three girls of her own. I hope in these difficult times to be of help to my own family, my husband, and all our children ( he has two boys from a previous marriage) and now ten grandchildren! I am very proud as I said of my deaf daughter who has managed to enter the world so splendidly though I cannot say her success is entirely due to my efforts but rather to her own intelligence and rare good nature. 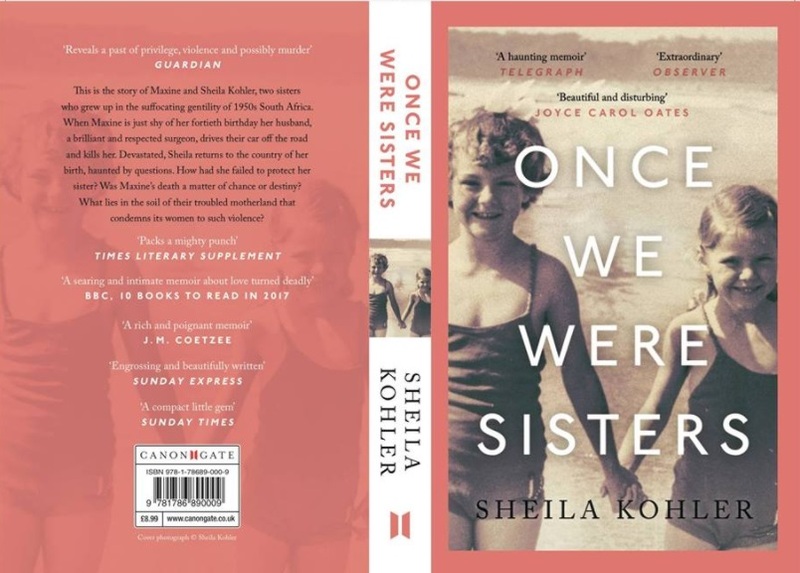 I am proud, too, of the books I have written and perhaps particularly of my recent memoir, "Once we were sisters" where I have tried to tell the truth of my sister's tragic life and death, a truth that has been camouflaged for so many years, and a truth which has caused me great grief. One of the most difficult decisions I made was to leave my beloved husband. We had been married very young and had really grown up together. Much of what I knew about art and literature I felt I had learned through. him. When he announced he had fallen in love with another woman, I tried to stay at his side for the children's sake as well as my own, to be understanding and patient, but finally when he started a second affair, I decided to leave him, to come to America and to go back to graduate school. It was very difficult for me to face life on my own. I do believe that much of what we accomplish in life is through perseverance. Particularly in the writing life one comes across barriers and hurdles constantly and if one gives up the game is lost. One has to be both dogged and determined and also flexible, willing to listen to advice and sometimes to take a different path from the one first chosen. The important thing is to keep walking in the way of your desire. I have had so many: from teachers in high school who singled me out and praised my writing ability to editors who promoted my work and gave me invaluable advice. I have learned so much from my present husband who is such a hard worker and a good man, interested in helping others around him. I have had wonderful friends who have shown me the way by their example, their encouragement, and just being at my side. I was born in South Africa and though I could no longer live there I still find it a wonderfully beautiful place: the light is extraordinary, the scenery spectacular, and the people warm and friendly. I lived, too for many years in Paris and for a year or so in Rome: so many beautiful cities with memories associated with people I have loved and lost, and such a rich history to enjoy in their streets and public places. I have a little buddha on my desk that belonged to my mother that is very precious to me. Sometimes before I begin writing I rub his stomach for good luck. Just books and books and books! My life is in books: reading, writing teaching books! I also love to swim.